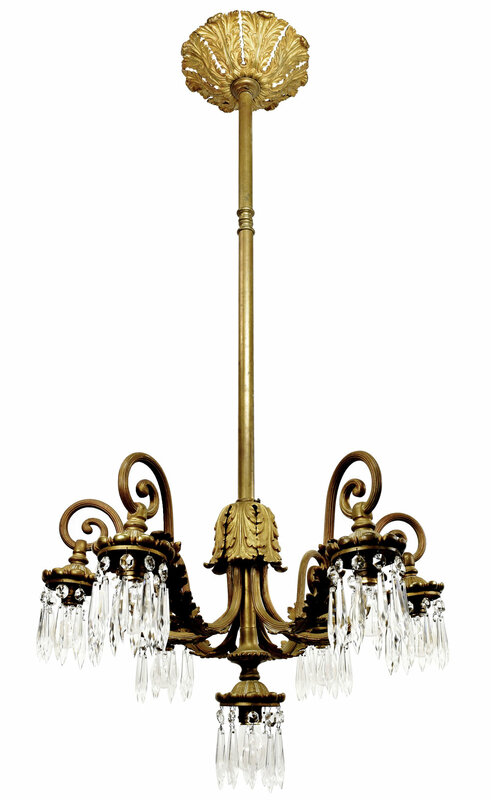 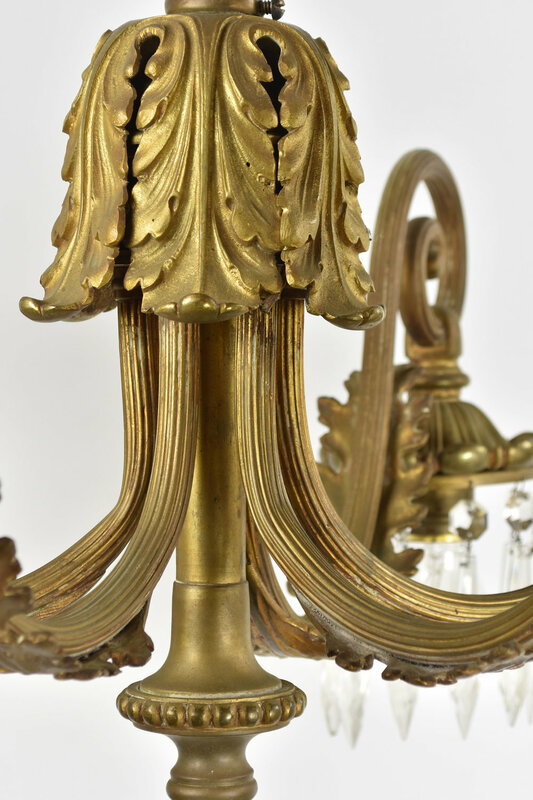 This eye-catching chandelier features a brass canopy. 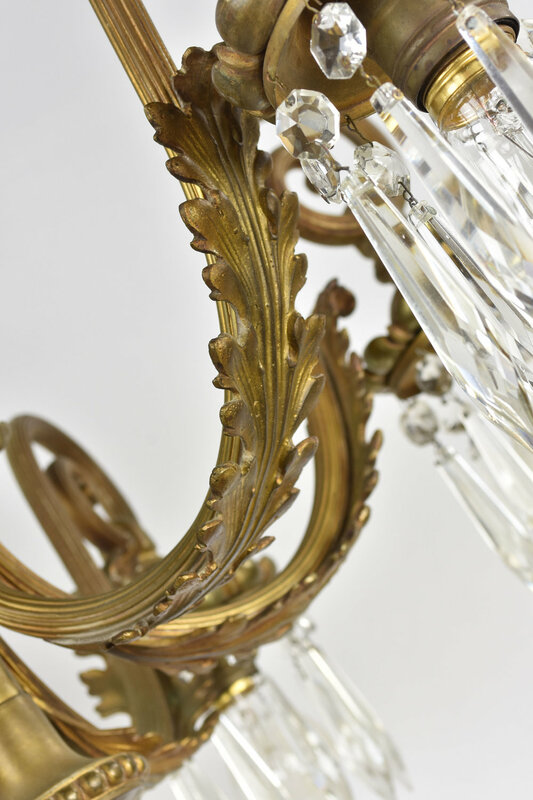 With 7 sections of dazzling crystals, acanthus leaf details, and perfect symmetry, this chandelier will provide visual interest for years to come. 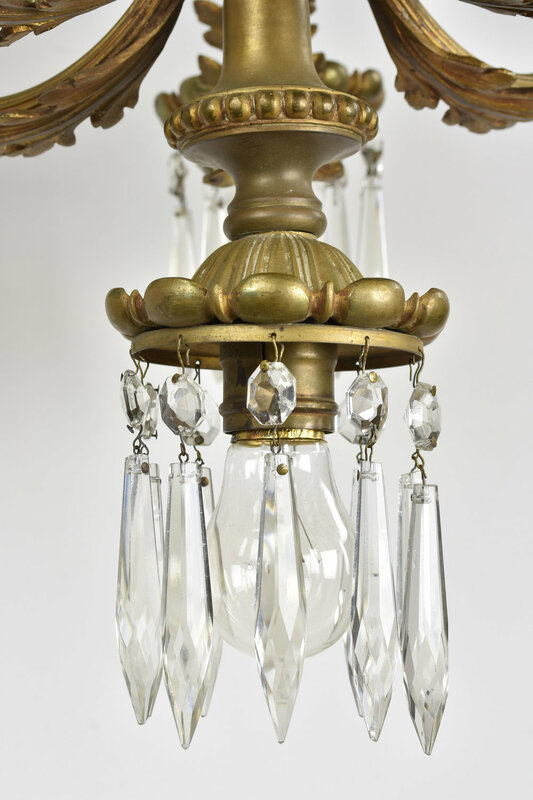 The addition of this chandelier will make any space elegant. 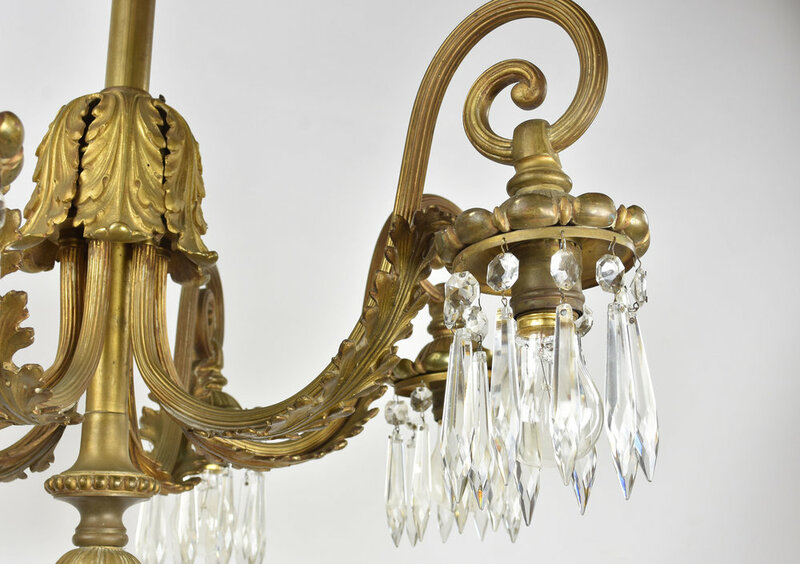 Be sure to include the Product ID AA#48131 when making your offer.